LG had the prestigious opportunity of crafting two Nexus branded devices for Google, and for the most part, the critics have been accepting of them. Even though the honor of making last year’s Nexus 6 went to Motorola, it’s once again LG at the helm for this year for one of two Nexus devices that are about to be unleashed. Following up on what they’ve established last with the Nexus 5 from a couple of years ago, LG goes after the affordability route with the Google Nexus 5X. The packaging of the Nexus 5X is a departure from the rectangular, deep box we were given with the Nexus 6. 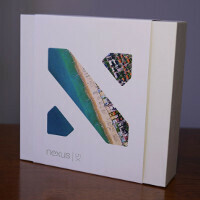 Instead, the Nexus 5X’s square-shaped packaging is a minimalist one that bears an ‘X’ showing what appears to be a beachfront – with the ‘Nexus 5X’ name positioned just beneath it. Around the back, we’re given frontal and back images of the handset in question. It’s not made to scale, but hey, it’s at least a small sneak peek to what’s inside. Sliding off the front portion of the box slowly, the first item presented to us is a quick start guide. Taking that off, we’re finally into the compartment where the handset and included accessories are all neatly arranged. What’s apparently untraditional at play here is the USB Type-C cable that’s packaged along, replacing the usual microUSB one we’re all accustomed to seeing. Now this is interesting, mainly because this is a USB Type-C to USB Type-C cable – so both ends use the newer USB Type-C connection. Most folks would assume that one end would be a traditional Type-A connection, so it can be used in other USB wall chargers you might have lying around, but that’s not the case. In a way, it’s a problematic because this is probably going to be the only cable you’ll have around until you build up your collection of USB Type-C cables. And replacing it might come at a premium for now, that’s until this particular type of cable becomes more popular, and therefore, cheaper to manufacture. Beyond that, there’s nothing out of character for a smartphone attached with a tempting $379 starting cost. Expect our in-depth review soon! This or Moto X Pure? In my country Moto is approx 30$ cheaper than this. I'd go X Pure for the screen and expandable memory. It's a really nice phone and it feels smaller than it looks. The Pure, dude. MUCH more premium looking and feeling. Super bright display, smaller bezels, sd expansion, VERY low cost, even in Europe. Dual stereo FF speakers. The fastest finger print scanner atm. The box art same like Dota 2 logo! I can't believe it took so long for someone to realize it. google will support this device like dazzle supports legion commander! The logo on the packaging looks exactly like the dotA logo.Coincidence? I Think Not! I'm still using the headset from my last phone. Still works great. "No headphones" is about the silliest downside I've ever heard. Apple did, the others follow. Google store did not lie. No USB-A to USB-C cable. That just seems like a crappy cost-cutting measure to me. I'd rather they charged $10 more for a complete package.